The present research aims to explore the effect of parental involvement in the academic achievement of their children. The research was conducted in urban city of Pakistan. A total of 150 students (boys and girls) of 1 to 5 classes of private schools were taken as respondents. 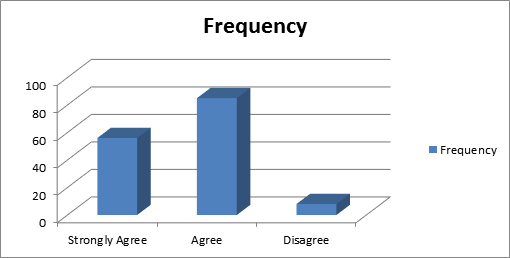 Survey questionnaire was used as a tool for data collection. After the analysis of data, it was found that parental involvement has significance effect in better academic performance of their children. The present research has proved that parental involvement enhanced the academic achievements of their children. Education is essential for the development of society. The more educated the people of a society are, the more civilized and well-disciplined the society might be. Mainly, family has responsibility to socialize children for making them productive members of society. The more the parents involve in the process of imparting education to their children, the more the children might excel in their academic career and to become the productive and responsible members of society. It has been assumed that academic achievement of students may not only depend on the quality of schools and the teachers, rather the extent of parental involvement has vital role to play in academic achievement of their kids. The focus of Wynn study is to examine a relationship (if any) between the extent of parental involvement in academic activities of their children and the level of their children’s academic achievement. Learning begins at home through interaction with one’s family. Parental involvement in a child’s education along with environmental and economic factors may affect child development in areas such as cognition, language, and social skills. Numerous studies in this area have demonstrated the importance of family interaction and involvement in the years prior to entering school (Wynn, 2002). His research findings have also shown that a continued effort of parental involvement throughout the child’s education can improve academic achievement (Dresden, Smit & Sleegers, 2005). Academic failure has been linked with risk behaviors and negative outcomes such as; substance abuse, delinquency, and emotional and behavioral problems (Annunziata, Houge, Faw, & Liddle, 2006). There is little research available on the relationship between parental involvement and academic achievement of school students. A majority of the research in this area has been conducted solely with elementary school students (Marjoribanks, 2005). This study may provide an in-depth look at one aspect of parental involvement, involvement in academic activities of their children, and academic achievement of primary school students. Although little research has been done in the area of parental involvement and primary school students, the literature review examines the many factors that may contribute to the level of parental involvement and academic achievement in primary school. This Master’s research project sought to identify the different levels of parental involvement in academic activities and how parental involvement affects academic achievement of primary school students. Parental involvement is may be different from culture to culture and society to society. Parental involvement may have different types, which might have differential influence on academic performance of their children. Parental expectations have a greater impact on student’s educational outcomes. Parental involvement may include activities like helping children in reading, encouraging them to do their homework independently, monitoring their activities inside the house and outside the four walls of their house, and providing coaching services for improving their learning in different subjects. The role of parental involvement in children’s education has become a central issue in educational policy and research. Research findings support the existence of a positive relationship between parental involvement and educational success, especially in the primary school years. However, current knowledge regarding the nature and magnitude of the effects of parental involvement in primary education is inconsistent and limited in scope (Singh, Bickley, et al., 1995). Most of the existing research has investigated parental involvement in the primary and middle grades. Less is known about successful parental involvement in primary school. Parents play a crucial role in both the home and school environments. In general, parental involvement is associated with children’s higher achievements in language and mathematics, enrolment in more challenging programs, greater academic persistence, better behavior, better social skills and adaptation to school, better attendance and lower drop-out rates (Henderson & Mapp, 2002). There are many reasons for developing school, family and community partnerships. They can improve school programs and school climate, provide family services and support and increase parent’s skills and leadership, and connect families with others in the school and in the community and help teachers with their work. However, the main reason to create such partnerships is to help children succeed in school and in later life (Epstein, 1995). Parental involvement categorized into four broad strands; Parental involvement in children’s school-based activities, Parental involvement in children’s at home-based activities, direct parental involvement in academic activities of children and Indirect parental involvement in academic activities of children. It is true that parental involvement level vary among parents. For example mother parent of young children, educated or uneducated parents, father’s involvement, their economic status, family background, social environment. It is observed that parental involvement with children from early age has been found to equate with better outcomes specially in building their personalities parents are primary guides to them, children try to copy them, and considered them that they are always write so parents can shape their life as they can. Their involvement has positive impact on children academic achievement even when the background factor of such as social class, family size, has been taken into account (Deslorges & Abouchar, 2003). The purpose of this study was to examine the relationship between parental involvement in academic activities of their children and academic achievement in primary school students. If parents are aware of how their involvement and learning activities with their children affects their child’s learning ability and future, they may be more actively participate in their child’s education. • To study the level of parental participation in Child’s education. • To study about the informal ways of communication. • To study the effect of parental involvement on Child’s academic performance. H0: There is no relationship between Parental participation and success of children in education. H1: There is a significant relationship between Parental participation and success of children in education. Parental involvement in education of their children has been significantly linked with the quality of education and academic achievement of children. Researchers took this study significant to be conducted to see the parental involvement influencing the academic achievement of students. After going through various studies on sociology of education, researchers have assumed that parental involvement in the study of their children might be a significant factor which enhances the academic achievement of their children. The information obtained by completing this study will be beneficial to parents, students, and educators. The findings of this research may also be beneficial to educational institutions. The results can be utilized to develop school programs associated with parental involvement in school activities, decisions and homework. Programs such as these can be implemented to bridge the gap between home and school while improving student’s academic achievement. The result of this study might be useful addition in the existing knowledge of sociology of education. The findings of the study might be useful for the policy planers in the education planning divisions. This would be the practical utility of this present empirical inquiry. The population consisted of students currently studying in class 1 to 5 in private schools, situated in Lahore .The sample consisted of 150 students currently studying in class 1 to 5 in private schools, situated in Lahore. The population was selected keeping in view the specific nature of the present research. The researchers wanted to select such a population where the parents might have somewhat orientations and relatively wider understanding about the parental involvement in the academic activities of their children for the last at least two years of their children’s education. The researchers did not select the parents of higher classes or colleges because the parental involvement might have less in higher or college level students. Therefore, the researchers selected the parents of primary level school going students which were studying in 1 to 5 classes (boys and girls) in private schools. The students of primary level were selected because parental involvement in primary level is more as compared to higher levels. In view of these reasons students studying in 1 to 5 class were considered population for conducting this research. The sampling procedure researchers have used for the present research was convenient sampling. 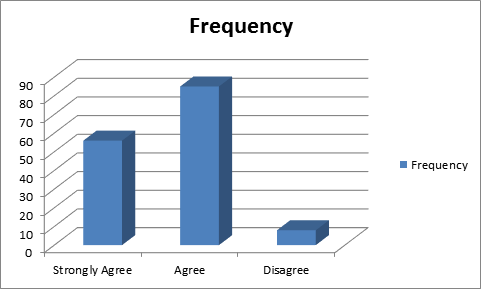 Technique used was Survey and questionnaire was used as a tool for the data collection. 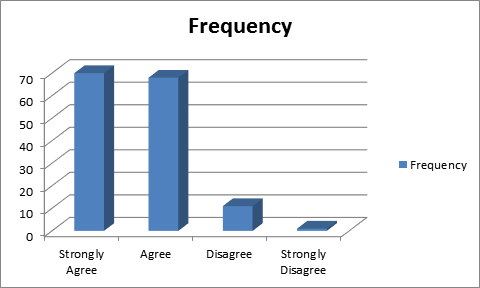 After reviewing the literature, a questionnaire was designed. Twenty three closed ended questions were included in the questionnaire about personal information; multi dimensions roles and styles of parental involvement related to the academic activities of their children and academic achievement of students. Then it was distributed to the parents of students studying in 1 to 5 classes of private schools. The researchers administered the 10 questionnaires which were distributed among respondents for the purpose of its pre-testing. 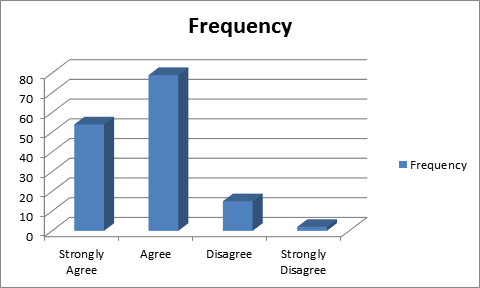 In this process, the researchers noted some flaws in the questionnaire, specifically in the ordering of some questions. The pre-testing was completed within a day. 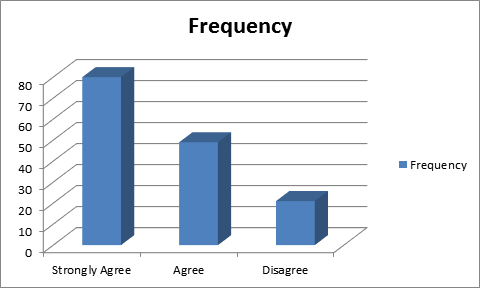 In the light of the experiences of pre-testing, the researchers incorporated certain changes (rewording and replacement of certain questions) in the questionnaire. The tool was finalized for the purpose of data collection. The final questionnaire comprised of total 23 questions. Data was analyzed using SPSS. Descriptive statistical analysis and Chi-square test of association is applied to test the association between different variables of interest. Parental involvement means parents participating in parent–teacher conferences and/or interactions, participating in school activities and/or functions, engaging in activities at home like homework, keeping knowledge of student’s academic progress, reaction to student’s academic grades, imparting parental values (attitudes about the importance of effort and academic success), or the level of parental control and/or autonomy support offered in the home environment. In this chapter literature will be presented. Despite its intuitive meaning, the operational definitions of parental involvement have not been clear and consistent. Parental involvement can be defined as any interaction between a parent with the child or school which enhances a child’s development (Reynolds, 1996). Feuerstein (2000) defined parent involvement as activity encompassing a wide range of behaviors, ranging from discussing school with children to attending parent-teacher conferences. Smit et al. (2007) defines parental involvement is the involvement of parents in the upbringing and education of their own child both at home and at school and parental participation can be defined as the active contribution of parents in school activities. Parental involvement has been operationally defined as parental aspirations for their children’s academic achievement (Bloom, 1980), parents’ communication with their children about education and school matters (Christenson et al., 1992; Walberg, 1986), parents’ participation in school activities (Stevenson & Baker, 1987), parents’ communication with teachers about their children ( Epstein, 1991), and parental Supervision at home (Keith et al., 1993; Marjoribanks, 1983). This contradiction in defining the construct makes it difficult to manufacture the research studies and may have contributed to inconsistent findings in this area. The construct of parental involvement is likely multidimensional in nature. Keith et al. (1993) and Singh et al. (1995) have embraced this approach in some more recent empirical studies. Some researchers have reported that some extents of parental involvement may have more noticeable effects on students’ academic achievement than others (Singh et al.). In a recent production of the literature, Fan and Chen (in press) provided further evidence that, with regard to the measurable effect of parental involvement on students’ academic learning, not all extents of parental involvement are equal. Although the multidimensional approach to parental involvement represents a substantial improvement in defining the construct, these dimensions have been proposed mainly on the basis of intuitive appeal, rather than empirical evidence ( Singh et al.1995; Sui-Chu & Willms, 1996). After World War II (1945-1950s), parental involvement referred to: Participation in parent’s conferences; Monitoring of homework; Signing of report cards; Attending PTA meetings; Fund raising events. Then in 1960s educators and policy makers focused on parental as a way to improve educational access for under achieving students. This led to the introduction of many models and plans to encourage such parent-teachers meetings (Milbrey& Shields, 1987). In 1965, Haiman started working on parents involvements program strategies, in which he wrote the parental involvement performance standard for the national head start and this was used as a consultant to Head start throughout the nation (Haiman, 1965). In 1968 he worked on the relevance of the syllabus, administration and community involvement (Chicago Tribune, 1968). By in 1979, many schools had started parent-teachers meetings into their school programs. Parental Participation in special education programs also increased (Los Angeles Times, 1979). Parenting. Support the families with parenting abilities, family support, understanding child and adolescent development, and setting home conditions to support learning at each age and grade level. Support schools in understanding families’ backgrounds, cultures, and goals for children. Communicating. Converse with families about school programs and student progress. Create two-way communication channels between school and home. Volunteering. Improve enrollment, training, activities, and schedules to involve families as volunteers and as audiences at the school or in other locations. Enable educators to work with volunteers who support students and the school. Learning at Home. Include families with their children in academic learning at home, including homework, goal setting, and other curriculum-related activities. Inspire teachers to design homework that enables students to share and discuss interesting tasks. Decision Making. Include families as participants in school decisions, governance, and backing activities through school councils or improvement teams, committees, and parent organizations. It is well established that building home-school partnerships is a powerful path for increasing the satisfaction of parents and the community with schooling and for improving schools (Epstein & Salinas, 2004;Henderson & Berla, 1994). When parents and teachers have rich and frequent communication, they can forge the partnerships that produce benefits for children. Additionally, as the discourse between homes and schools increases, understanding improves, suggestions are mutual, and positive attitudes are more easily maintained (Ames, Khoju, & Watkins, 1993). Recognizing the critical need for parent-teacher communication, the No Child Left Behind Act (NCLB) requires that schools communicate with all families and involve them in ways that boost students’ success (Lewis, 2002). Unfortunately, teacher education efforts are often insufficient to fully prepare beginning teachers for home-school communication, and this continues as a need area for many practicing teachers, as well (Fredericks & Rasinski, 1990). 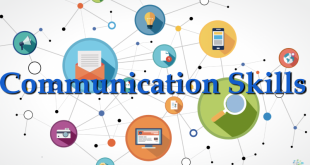 Thus, new teachers entering classrooms must understand the importance of home-school communication and should have opportunities for actual discussions or connections with parents under the guidance of faculty responsible for their professional preparation. Common examples of home-school interactions include notes and phone calls newsletters, parent-teacher sessions, home visits, weekly folders, dialogue journals and/or open house nights (Fredericks & Rasinski, 1990). To address fences of time and schedules, e-mail and Web-based communications have emerged as viable options to increase parent-teacher interaction and provide school–based information in a timely and consistent manner. In fact, in many communities, communication via e-mail has become commonplace (Zisow, 2002). School and classroom Web sites promote and maintain home-teacher communication by informing parents and community members of school and classroom activities (Solomon & Andres, 1998). In addition, homework hotlines and online student management porches extend opportunities for families to stay linked to classroom requirements and resources (Fish, 2003; Zisow, 2002). 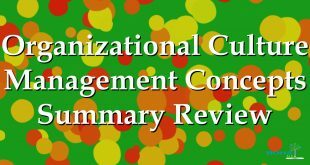 Electronic collections offer a unique and contemporary approach to help inform parents of children’s efforts, progress, and achievement over time. Electronic collections can contain digital artifacts that capture children’s voices in unique ways (Harris & Reifel, 2002). Electronic collections also offer a storage advantage and can make children’s work portable and accessible (Diehm, 2004; Havens, 2003). Typically, parents find it difficult to get information from their uncommunicative children about what happened during school (Kasprowicz, 2002). Instead, parents are seeking other methods like school Web sites and portals to obtain that information. The findings from the Marchant et al. (2001) study confirm the important role that relationships among parents, teachers, and peers play on early youths’ school achievement. In particular, students’ perceptions of their parents’ values about achievement had the strongest relationship with both motivations and capability. When students perceived that parents valued the importance of effort and academic success, students had higher perceived academic capability Participation and placed a high priority on their academic ability, effort, and grades. Parental values were correlated with both parental responsiveness and involvement in school. It is noteworthy that students internalized parental values into their own learning traits. • Providing parents with information about how to help their child learn at home. They found that children’s inherent motivation is more positive when parents receive weekly communications from the teacher (1995) and when children see their parents involved in their education (1993). Researchers also established a relationship between parent participation and other motivation-related outcomes. Teachers’ use of parent participation strategies was related to students’ persistence in learning (1995), and children’s perceptions of the parents’ participation was related to their perceived academic self-competence (1993). Ames et al. (1993, 1995) suggested that parental beliefs might mediate the effect of teachers’ parent participation strategies on parent involvement efforts. Perhaps receiving such communications from the teacher enhances parents’ feelings of comfort with the school, perceptions of their child as a learner, knowledge about programs and learning at the school, and belief that they can influence their child’s learning. Consequently, when parents show an interest and enthusiasm for what their children are learning, they provide a support system at home that buttresses the child’s academic learning and reinforces the value of schooling. By providing such emotional support, parents establish a foundation for socializing children’s motivation to learn. On Target Family Involvement (2000) explained that research on K-12 schools have linked parental participation to student out comes including increased achievement in test results, a decrease in dropout rate, improved attendance and student behavior, improved parent teacher relations, greater commitment to schoolwork, and improved attitude toward school (Gollum, 1977; Rich, Van Dien & Maalox, 1979; Comer, 1980). Increase in parental participation leads to an increase in academic achievement, better classroom behavior and conduct, greater self-esteem, increased motivation and attitude towards school, low rate of absenteeism, increased school satisfaction, and increased school climate (Bali, Wed man& Demo, 1997). Disgorges and Abouchaar (2003) advised that parents should start getting involved in their children’s education from pre-school which can also make a positive difference at all levels, especially in the early years of school. In their study, Feinstein and Symons (1999) came up with the finding that parental participation has been identified as a forecaster for students’ achievement at the age of sixteen. Other studies have also shown that parental involvement of middle and high school students are equally important. Through parental participation teachers’ ethics are improved as parents develop greater gratitude of the challenges they are facing in the classroom. Teachers become aware of whom students are when they communicate with parents, and through that, they are able to develop individual teaching styles to meet the students’ needs. Many researchers have also confirmed to the fact that parents become more supportive and engage in their children’s schooling when informal communication is established by the school (Bauch, 1989; Taylor, 1999). Research shows that parental involvement in their children’s learning positively affects the child’s academic performance (Fan and Chen, 2001) in both primary and secondary schools (Feinstein and Symons, 1999), leading to higher academic achievement, greater intellectual competence, greater problem-solving skills, greater school enjoyment, better school attendance and fewer behavioral problems at school (Melhuish, Sylva, Sammons et al., 2001). Similar influences have also been identified with regards to literacy practices. For example, involvement with reading activities at home has important positive influences not only on reading achievement, language comprehension and expressive language skills (Gest, Freeman, Domitrovich, and Welsh, 2004), but also on pupils’ interest in reading, attitudes towards reading and attentiveness in the classroom (Rowe, 1991). Analysis of NCDS data, which has followed a cohort of children born in 1958 to now, showed that children whose father spends time with them, in terms of reading or going on outings, have higher IQs and were more socially mobile than those who had received little attention; the differences in life chances were still noticeable by the age of 42 (Nettle, 2008). The same study by Flouri and Buchanan (2003), who analyzed NCDS data to explore the role of early father and mother involvement in children’s educational achievement in later life, also found that father and mother involvement at age 7 independently predicted educational attainment when the child was 20. They also found that the link between parents’ involvement was the same for sons as for daughters and that father involvement was not more important for later educational achievement when mother involvement was low rather than high. More importantly, they found that early father involvement with a child was associated with continued involvement throughout childhood and youth, which led them to conclude that “engaging fathers in their children’s lives from an early age should guarantee that they remain involved throughout their children’s childhood” (Flouri and Buchanan, 2003, p. 95). The involvement of fathers in their children’s schools is important for children’s attainment and behavior. In two-parent households, fathers’ involvement in their children’s schools has a distinct and independent influence on children’s achievement over and above that of mothers. These results show that fathers can be a positive force in their children’s education, and when they do get involved, their children are likely to do better in school. Unfortunately, many fathers are relatively uninvolved in their children’s schools (U.S. Department of Education, 1997). Parental Involvement at school is less important than parental involvement at home. Studies cited by Finn (1998) indicate that parent involvement at home impacts academic performance more strongly than parent involvement at school. Three types of parent involvement at home are consistently related to school achievement: Organizing and checking children’s time, especially related to television viewing; assisting with homework; and talking about school issues with children. These methods of involvement have also been linked with the resilience of students who succeed notwithstanding challenges such as poverty, minority status, or native language. Research analyzed by the author also demonstrates a positive relationship between literacy and reading at home and student achievement. Several studies have shown a strong relationship between parents reading to their children as well as children reading to their parents and reading achievement. School programs that boost literacy activities at home have proven successful. Research has not found a consistent relationship between parental involvement in school (attending school programs, volunteering, visiting classrooms) and student achievement. Research also shows that children of “disengaged” parents (parents who are controlling, fail to provide guidance and structure, and do not provide emotional support) are the least successful in school settings. Kellaghan, Sloane, Alvarez and Bloom in 1993 analyzed studies that concentrated on home processes that contribute to the academic success of students. From this analysis, they developed a “comprehensive picture” of processes in the home that promote school learning. These include: high prospects and aspirations of parents; language environment of the home; academic guidance and support in the home; stimulation in the home, including prospects for children “to explore ideas, events, and the larger environment;” and general work habits of the family. Kellaghan, Sloane, Alvarez and Bloom in 1993 analyzed research on the role of home environments on school learning. They drew the following closes from this research: a) the home environment is “a most powerful factor” in determining school performance, including achievement, interest in learning, and number of years of schooling children will receive; b) when home and school have “divergent approaches to life and to learning,” children may not perform well; conversely, when home and school “have similar emphases on inspiration and learning, “children are more inclined to perform well; c) the “socioeconomic level or cultural background of a home need not determine how well a child does at school.” Parents from diverse cultures and backgrounds “can and do promote motivating home environments that support and encourage the learning of their children;”and d) parents can make better choices for what to do to help children learn if they have an understanding of home factors that add to learning. Programs designed to assist parents to support and encourage their children have proved beneficial in promoting children’s learning at school. Several studies indicate that parent/family involvement has a lasting influence throughout the K-12educational careers of students (Kellaghan, Sloane, Alvarez, & Bloom, 1993; Trusty, 1999). The ways in which parents/families can be involved in their children’s education have extended considerably over the past three decades beyond the traditional “big three”— volunteer, homework helper, and fund-raiser (Christenson and Sheridan, 2001). What parents/families do in the home environment, however, remains significantly more important to student outcomes than what parents/families do in the school setting (Christenson and Sheridan, 2001). In their interviews with students, teachers, and parents in four high schools, Epstein and Sanders (2000) found that although youths need more independence than younger children, the need for guidance and support of caring adults in the home, school, and community during this time in their lives is very important. Other studies reinforce the value of parents/families expressing confidence in youths and supporting autonomy as significant contributors to achievement among high school students (Christenson and Christenson, 1998). Numerous early childhood programs that include parent/family involvement have shown important positive results in helping children transition to kindergarten and succeed during the primary grades, especially among disadvantaged children and those at risk of school failure (Miedel and Reynolds, 1999). Many studies have documented the significance of parent/family involvement in homework (Bali, Demo, and Wedman, 1998). The nature of that involvement, however, determines the value of the assistance. Cooper, Lindsay, and Nye (2000) found that an active teaching role for parents may be most appropriate for elementary children experiencing difficulty in school. But with older students doing well in school, it is best to reinforce autonomy and not directly intrude so that students learn time-management and study skills. Other studies (Balli, Demo, and Wedman, 1998) indicate that educators need to help parents understand homework concepts and developmentally appropriate practices in order to best help their children. The usefulness of families, schools, and communities working together has been documented in several studies (Christenson & Christenson, 1998). To promote these complete partnerships, schools must provide a variety of opportunities for schools, families, and communities to work together (Rutherford & Billing, 1995). Christenson and Christenson in 1998 reviewed 200 studies that focused on family, school, and community effects on children’s learning in grades K-12. Indicators of positive student outcomes identified by the review included: 1)standardized tests,2)grades,3)teacher ratings of academic performance, and 4)Measures of school modification, including improved attendance, fewer suspensions, increased classroom participation, and improved self-esteem and motivation to learn.” Correlations between family, school, or community influences on positive school performance ranged from low to “strong,” but most were in the “low-moderate to moderate range.” Authors concluded that students performed well when the following six factors were in place in three locations-at home, in school, and Within the community: 1)Standards and expectations, 2) Structure, 3) Opportunity to learn, 4) Support, 5) Climate/relationships, 6) Modeling Parenting practices can have a positive impact on students’ academic engagement. Izzo et al. (1999) examined how parent involvement related to 1,025 elementary students’ (kindergarten through third grade) social and academic functioning. The authors addressed a number of subjects in order to fully understand the relationship between parent involvement and children’s school functioning. Izzo et al. employed a three-year longitudinal design to assess several dimensions of parent involvement including the number of educator contacts with parents, the quality of those connections, parents’ participation in school activities, and parents’ engagement in home activities to enhance the child’s social and academic development. Overall, the researchers concluded that although their results do not warrant causal relationships, they do suggest that parent involvement may head better school performance. Henderson synthesized the descriptions of 66 studies, reviews, reports, examines, and books published between 1974 and 1993 that address the effects of family involvement on student achievement. “The evidence is now beyond dispute,” the authors write. “When schools work together with families to support learning, children tend to succeed not just in school, but throughout life.” Benefits of family involvement for students documented by the studies include: higher marks and test scores; improved attendance; more homework completed; fewer special education placements; better attitudes and behavior; improved graduation rates; and greater participation in post-secondary education programs. 1. Families make “critical contributions” to student achievement, from early childhood through high school. Programs and strategies to improve student outcomes are more effective if they include families; 2. Parent involvement at both home and at school adds to both student achievement and retention in school; 3. Parent involvement contributes to the overall performance of all children in schools, not just the children of those parents who are active; 4. Four roles played by parents contribute to children’s learning: parents as teachers, supporters, advocates, and decision-makers; 5. There is a correlation between the extent of parent involvement and the degree of student achievement. The form of involvement is less important than the amount or variety; and 6.The best results for student achievement occur when families, schools, and community organizations work together. Fan and Chen in 2001 conducted a meta-analysis to synthesize the measurable literature concerning the relationship between parental involvement and children’s academic achievement. Their findings exposed a “moderate and practically meaningful” relationship between parental involvement and academic achievement. Parental aspiration/expectation for children’s educational achievement was the strongest relationship, while parental home supervision was the weakest. The relation of parent involvement to achievement was also stronger as a “global indicator” of academic achievement (e.g. grade point average) than as a predictor of student achievement in specific subject areas. Parental involvement in the form of ‘at-home good parenting’ has a significant positive effect on children’s achievement and adjustment even after all other factors shaping achievement have been taken out of the equation. In the primary age range the impact caused by different levels of parental involvement is much bigger than differences associated with variations in the quality of schools. The scale of the impact is evident across all social classes and all ethnic groups (Desforges 2003). Parental involvement benefits children, parents, as well as the community, at different levels. By becoming involved in their children’s education, parents have a better understanding of the school prospectus and activities. This makes parents more comfortable with the quality of education their children are getting. Studies have shown that children whose parents are involved show greater social and emotional development (Allen & Daly, 2002). In addition, parental involvement leads to greater self-satisfaction, self-direction and control, social adjustment, and aptitude; more supportive relationships, positive peer relations, tolerance, successful marriages; and less aberrant behaviors (Comer, 1980). The U.S. Department of Education (1997) research on parent involvement delineated three important aspects for children’s development and academic success. These include signifying attitudes, values, and interactions about learning through parenting; creating partnerships between schools and homes using two-way communication; and developing a sense of shared responsibility for learning outcomes by both schools and parents (Supreme Education Council, 2008). Henderson and Berla (1994) explained that when parents are involved in education, teachers build high expectations for students, and high hopes for parents’ opinions on their ability to help their children at home. As a result of parental involvement, parents progress more self-confidence and become inspired to advance their own education. Families are willing to support children’s learning to increase achievement and, thus, the school gets a better repute from the community (Henderson & Berla, 1994). The New Skills for New Schools (1997) reported that research reviewing historical trends on parental involvement and student achievement has shown inconsistency in their findings and do not support the relationship. A number of studies have revealed that the benefits of family involvement are not limited to student achievement but also include other factors based on educational accountability. For example, in Kentucky, the Prichard Committee for Academic Excellence provided parents and the community with information on specific components of school reform and informed them about their roles in applying the education reform law. Newswire (2010) took the study parental involvement equal to better students. The sample comprised of 1300 children from Ten American Cities. He found that when parents boosted their involvement in child’s school activities the child’s behavior problems found to be decreased. Williams et al. (2002) surveyed 2019 parents of children aged 15–16 years attending schools in England to establish their degree of involvement in their children’s education. A telephone survey was used to conduct interviews with parents‟ to collect information regarding help in schools, their relationship with their child’s teacher(s) and parents‟ involvement with homework. The findings indicated that parental involvement was the most strongly related to achievement of their children. Sacker et al. (2002) examined the role of parental encouragement in educational achievement and psychological adjustment throughout the childhood. Data were collected from 1704 students of United Kingdom. The results indicated that parental involvement had a small but significantly positive relationship with academic achievement. The results also revealed that social and physical environment in which the children were raised effect their educational achievement. Astone and Sara (1991) examined the relationship among family structure, parental practices and children’s achievement by collecting data from 10,000 high school students of Baltimore in America. The result revealed that children who live with single parents or stepparents during adolescents receive less encouragement and less help with school work than children who live with both natural parents. The findings also indicated that parental practices including parental encouragement had positive effect on children’s school achievement. Baker and David (1986) recognized mothers‟ strategies for children’s school achievement. The investigator collected data from heterogeneous sample of mothers of eighth graders through interview schedule. The findings of study showed that mothers‟ encouragement had positive impact on the academic achievement of the students. The results also indicated that parents actively managed their children’s school career in a way that could have direct consequences for their children’s academic achievement. The number and types of parental encouragement strategies suggested by the mothers were found to be same hence there might be some standard parental encouragement strategies. Mother’s encouragement was also found to have positive influence on the academic performance of the students. Dubois et al. (1994) studied the family support and the quality of parent child relationships. A sample of 159 young American adolescents ranged in age 10–12 years were selected. Measures on family support, academic achievement and adjustment were assessed. The results indicated that parental encouragement clearly and consistently had significant effect on academic achievement and adjustment. Petrickand Kim (1998) studied parenting style, motivation orientation and self-perceived academic competence of high school students. The sample comprised of 404 students of class 8th and 9th of Hong Kong. The results of meditational model demonstrated that family plays a significant role in educational outcomes. Authoritative parenting had positive significant relationship with educational success of students. Aremu et al. (2006) investigated the relationship among emotional intelligence, parental encouragement and academic achievement of the students. A sample of 500 adolescents consisting 250 males and 250 females was drawn through randomized process from 10 senior secondary schools of Ibadan in Nigeria. Data were gathered through parental involvement rating scale developed by the researchers themselves and from the school records. The results indicated there was a positive and significant relationship between parental encouragement and academic achievement of the adolescents. Roychoudhary and Basu (1998) carried out a study on parent-child relationship, school achievement and adjustment of adolescent boys. The sample comprised of 105 boys of age 14 to 15 years. Data were collected by administering parent child relationship scale to the sample and achievement scores were taken from school records. The results indicated that both mothering and fathering styles were associated with academic success whereas rejection and neglect from the parents were found to be highly detrimental to academic achievement. Codjoe (2007) studied the importance of home environment and parental encouragement in the academic achievement of African-Canadian youth. The data was gathered by conducting individual and focus group interviews from a sample of 12 students drawn from a population of black students in Edmonton in Canada. The researcher confirmed that parental encouragement and supportive home environment laid positive influence on educational achievement of the black students. Hill et al. (2004) studied a longitudinal model of parents‟ academic involvement, achievement and aspirations on 463 adolescents, followed from seventh through eleventh grades. The findings of the study revealed that parental involvement in academics of the students was positively related to achievement for African Americans but not European Americans students. Halawah (2006) examined the effect of motivation, family environment, and student characteristics on academic achievement. On the sample comprised of 388 high school students including 193 male and 195 female students of Abu Dhabi district in United Arab Emirates. Grade point average was taken as measure of academic achievement of the students. The results revealed no significant gender difference in academic achievement of the students. Shah and Sharma (1984) conducted a study to investigate the effect of family climate on students‟ academic achievement. Data was collected by administering family climate scale to the sample of 200 children consisting 118 boys and 82 girls of ninth class from the schools of Pury and Jehri districts of Kashmir. The results revealed that family environment was significantly and positively related with academic achievement of the students. Khare and Garewal (1996) conducted a study on home environment and academic achievement of elementary school children. The sample comprised of 212 students of middle schools of Bhopal. The results indicated that home environment had significant relationship with academic achievement of students. Ghazi et al. (2010) examined parental involvement in their children’s academic motivation in rural areas at primary level. The study was conducted on a sample of 250 students from Bannu in Pakistan. Data were collected through structured interview from students and their parents. The results showed that parents‟ encouragement, discussion of importance of education and educational affairs had direct positive influence on achievement motivation. The findings also revealed that most of the parents were not well aware of their role for their children’s education. Shah (1993) conducted a study to investigate the relationship among some social, psychological variables and the academic achievement of the students in Azad Kashmir. Data was collected from a sample of 1000 students comprising 640 male and 360 female students. Annual examination results for three consecutive years were taken as measures of academic achievement. The findings indicated that there was a significant relationship between parental interest for the children’s education and academic achievement of their children. In addition it was also found that authoritative families had significantly relationship with academic achievements of the students. Kazmi (2011) conducted the study to evaluate the impact of fathers’’ style of dealing with their children at home and their academic achievements at school. The sample of the study consisted of 300 students, 300 fathers and 20 teachers which were drawn randomly from urban and rural areas of district Mansehra of Pakistan. 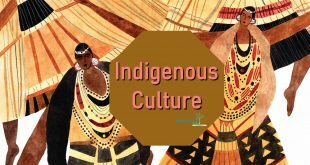 The indigenously designed questionnaire was used to collect the data and academic achievement was taken from classroom records. The results of this study revealed fathers‟ involvement had positive significant relationship with academic achievement for the academic achievements. From the above review we can say that parental involvement plays an important role in the education of children and has a significant positive impact on student’s products. Moreover father’s involvement plays a more momentous role in child’s education as equated to mother’s involvement. Parental involvement at home is more effective than parental involvement at school. In the previous chapter review of literature was presented on the parental involvement and its effect on the success of children education. In this chapter interpretation and analysis of the collected data will be presented. And in the end of this chapter test of hypothesis will be presented. Table-1 and fig.1 shows that among 150 respondents there is high percentage of parents i.e. 42.7% who contact with the teacher of their child by mean of phone calls and text messages, secondly 30% of the parents use homework diary as a resource of contact with teacher. 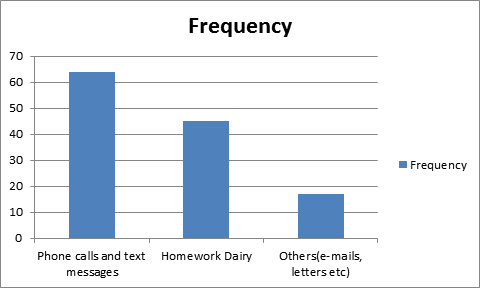 It shows that homework diary and telephone calls are most usable way of communication between parents and the teacher. Table-3 and fig.3 shows that among 150 respondents a high percentage of parents i.e. 53.3% parents strongly agreed and 32.7% agreed that they often visit school to meet teacher of their child. Rest of the parents disagreed with this statement. 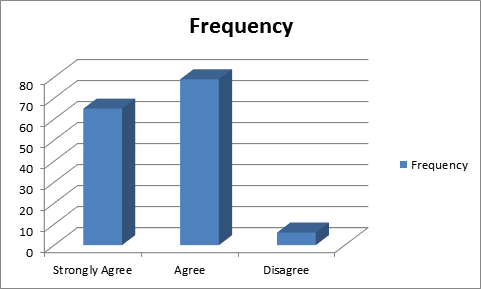 Table-4 and fig.4 shows that 42.7% of the parents strongly agreed and 44% agreed that the teacher keeps them informed of their child’s performance. This shows a very positive response of teachers and schools about keeping up-to-date parents about performance of their child. Table-5 and fig.5 shows that a high percentage (86%) of parents share weaknesses of their child with the teacher. It is very significant percentage of parents who share weaknesses of child. Table-7 and fig.7 shows that 47.3% parents strongly agreed and 39.3% parents agreed with the statement that they help their child in daily homework. Collectively 86.7% of the parents are helping out their children in their studies. Table-9 and fig.9 shows that 52.7% parents agreed and 43.3% parents strongly agreed that they are informed by teacher about misbehavior or immoral acts of child. This is very helpful important information. And other significant figure is that 96% of the parents are receiving this important information, which is a good sign. Table-10 and fig.10 shows that 85.3% parents attend formal meetings arranged by the school administration. Table-11 and fig.11 shows that among all respondents 46.7% strongly agreed and 45.3% parents agreed that a copy of progress report is given to me on every formal parent teacher meetings. Table-12 and fig.12 shows that as a result of involvement of parents in studies with their children, 43.3% parents agreed and 39.3% parents strongly agreed that their child has shown improvement in 2012-2013 results due to their attachment in Child’s studies has increased. 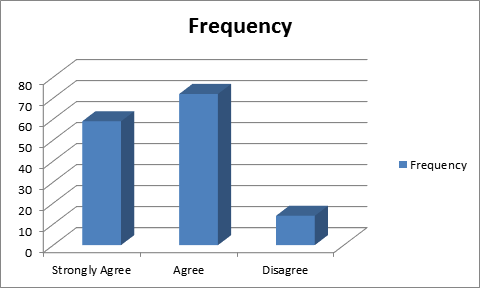 Table-13 and fig.13 shows parent teacher meetings are very useful and helpful as 50.0% parents agreed and 35.3% parents strongly agreed with the statement that parent teacher meetings have helped them to build a strong personality of child. Table-14 and fig.14 shows that a high percentage of parents i.e. 54.0% parents agreed and 42.7% parents strongly agreed that their child gets academic guidance and support in home. Table-15 and fig.15 shows that among 150 respondents there is high percentage of parents i.e. 56.7% parents agreed and 41.3% parents strongly agreed that their child gets stimulation at home occasionally. Table-16 and fig.16 shows that among 150 respondents there is high percentage of parents i.e. 48.0% parents agreed that they try to reform the habits of children occasionally. Secondly 39.3% parents strongly agreed that they try to reform the habits of children occasionally. H1: The two variables of classification are associated. 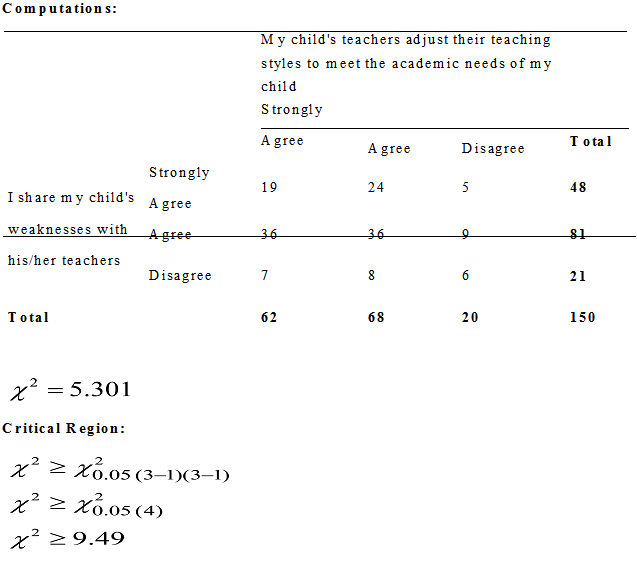 Test of association between child shown improvement in result and his/her parent meet their school teacher. Since our calculated value of does not falls in critical region so, we accept Ho and reject H1, i.e. there is no association between child shown improvement in result and his/her parent meet their school teacher. Both variable of association are self-determining. Test of association between parent teacher meetings have helped child to build a strong personality and parents always attend formal meetings in school. Since our calculated value of does not falls in critical region so, we accept Ho and reject H1, i.e. there is no association between parent teachers meetings have helped child to build a strong personality and parents always attend formal meetings in school. Both variables are independent. Test of association between Test of association between child shown improvement in result and parents helped his/her child in homework. Since our calculated value of does not falls in critical region so, we accept Ho and reject H1, i.e. there is no association between Test of association between child shown improvement in result and parents helped his/her child in homework. Test of association between teacher adjust their teaching styles to meet the academic needs of child and parents share their child’s weaknesses with his/her teachers. Since our calculated value of does not falls in critical region so, we accept Ho and reject H1, i.e. there is no association between teacher adjust their teaching styles to meet the academic needs of child and parents share their child’s weaknesses with his/her teachers. Test of association between child’s teacher keep inform their parents about their performance in school and this information helped their child to improve his/her learning. Since our calculated value of does not falls in critical region so, we accept Ho and reject H1, i.e. there is no association between child’s teacher keep inform their parents about their performance in school and this information helped their child to improve his/her learning. 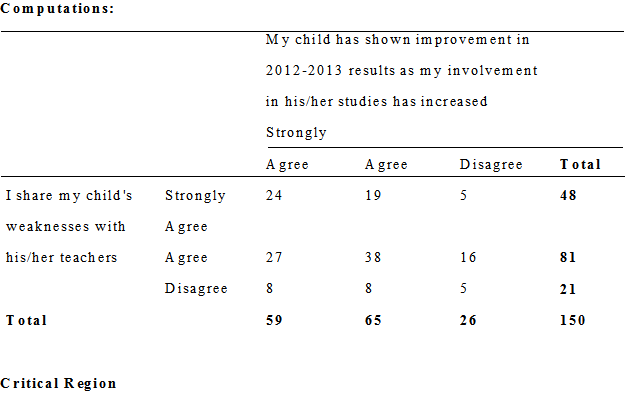 Test of association between child shown improvements in result and parents share their child’s weaknesses with teacher. Since our calculated value of does not falls in critical region so, we accept Ho and reject H1, i.e. there is no association between child shown improvements in result and parents share their child’s weaknesses with teacher. 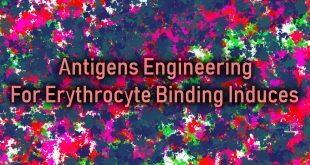 In this chapter finding, conclusions and discussions and recommendations will be presented. • It was concluded from the present study that there was a significant relationship between the two variables i.e. the level of parental involvement in their children’s academic activities and the level of academic achievement of children. • It was found that children showed improvement in studies as a result of parental involvement. positive effects on student’s achievements and results also shows that children progress can be hindered by lack of parental involvement. Parents are often ready to support their children’s learning but do not always know how to help or why their involvement is important. • This study argues effectuality of parents involvement in the educational attainments of their children so it is recommended that the parents may spare mo 1 re time and give more attention to their children’s education. • Similar type of research may also be launched for the public schools. • Alike studies may be replicated in other districts to find cross cultural results. Allen, S. M. & Daly, K. (2002). The effects of father involvement: A summary of the research evidence. The FII-O_ews, vol. 1, 1-11. Ames, C., de Stefano, L.,Watkins, T., and Sheldon, S. (1995). Teachers’ School-to- Home Communications and Parent Involvement: The Role of Parent Perceptions and Beliefs (Report No. 28). East Lansing, MI: ERIC Document Service No. ED383451, Center on Families, Communities, Schools, and Children’s Learning, Michigan State University. Annunziata, D., Hogue, A., Faw, L., & Liddle, H.A. (2006). Family functioning and school success in at-risk, inner city adolescents. Journal of Youth and Adolescence, 35, 105- 113. Astone, N. M. and Sara S. Mclanahan (1991) Family Structure Parental Practice and High School Completion.American Sociological Review, 56, 3, 302- 320. Baker, D. P. and David L. (1986) Mothers‟ Strategies for Children‟s School Achievement: Managing the Transition to High School. Sociology of Education, 59, 59, 156-166. Balli, S. J., Wedman, J. F., & Demo, D. H. (1997). Family involvement with middle grades homework: Effects of differential prompting. The Journal of Experimental Education, 66 (1), 31-48. Bloom, B. S. (1980). The new direction for educational research: Alterable variables. Phi Delta Kappan, 61, 382-385. Bryan, T., & Sullivan-Burstein, K. (1998). Teacher-selected strategies for improving homework completion. Remedial & Special Education, No.19. Christenson, S. L.. Rounds, T.. & Gorney, D. (1992). Family factors and student achievement: An avenue to increase students’ success. School Psychology Quurterly, 7, 178-206. Christenson, S. L., & Christenson, J. C. (1998). Family, school, and community influences on children’s learning: Aliterature review. (Report No. 1). Live and Learn Project. Minneapolis: University of Minnesota Extension Service. Christenso n, S. L., & Sheridan, S. M. (2001). Schools and families: Creating essential connections for learning. New York: Guilford Press. Codjoe, Henry M. (2007) TheImportance of Home Environment and Parental Encouragement in the Academic Achievement of African- Canadian Youth.Canadian Journal of Education, 30, 1, 137- 156. Comer, J.P. (1980). School prose. New York: Free Press. Cooper, H. M., Lindsay, J. J. , & Nye, B. (2000). Homework in the home: How student, family,and parenting-style differences relate to the homework process.Contemporary Educational Psychology, 25(4), 464-87. Diehm, C. (2004). From worn-out to web-based: Better student portfolios. Phi Delta Kappan, 85(10), 792-794. Driessen, G., Smit, F., & Sleegers, P. (2005). Parental involvement and educational achievement. British Educational Research Journal, 31, 509-532. Dubois, P. L., Eitel S. K., and Felner R. B. (1994) Effect of Family Environment and Parent–Child Relationship on School Adjustment Duringthe Transition to Early Adolescence.Journal of Marriage and the Family, 56, 405- 414. Epstein, J. L. (1991). Effects on student achievement of teachers’ practices of parent involvement. In S. B. Silvern(Ed. ), Advances in reuding/language research: Literacy through family, community, and school interaction (Vol. 5, pp. 261-276). Greenwich, CT: JAl Press. Epstein, J. L. (1995). Perspectives and previews on research and policy for school, family and community partnerships. In Booth, A & Dunn, J. (eds). Family-school links: how do they affect educational outcomes? Hillsdal, N.J.: Erlbaum. Epstein, J. L., & Sanders, M. G. (2000). Connecting home, school, and community: New directions for social research. In M. T. Hallinan (Ed. ), Handbook of the sociology of education (pp. 285-306). New York, NY: Kluwer Academic/Plenum Publishers. Epstein, J.L., & Salinas, K.C. (2004). Partnering with families and communities.Educational Leadership, 61 (8), 12-18. Fan, X., & Chen, M. (in press). The relationship of parental involvement and students’ academic achievement: A meta-analysis. Educational Psychology Review. Fan, X. T., and Chen, M. (2001). Parental involvement and students’ academic achievement: A meta-analysis. Educational Psychology Review, 13, 1–22. Farris, P.J., Fuhler, C.J., & Walther, M.P. (2004). Teaching reading: A balanced approach for today’s classrooms. Boston, Mass: McGraw Hill. Feuerstein, A. (2000). School characteristics and parent involvement: Influences on participation in schools. The Journal of Educational Research, 94(1), 29. Finn, J. D. (1998). Parental engagement that makes a difference. Educational Leadership, 55 (8), 20-24. Fish, T. (2003). Building a web site from the inside. Learning & Leading with Technology, 30(5), 46-49. Flouri, E. and Buchanan, A. (2003). What predicts fathers’ involvement with their children? A prospective study of intact families. British Journal of Developmental Psychology, 21, 81-98. Fredericks, A.D., & Rasinski, T.V. (1990). Conferencing with parents: Successful approaches. The Reading Teacher, 44(2), 174-6. Gest, S.D., Freeman, N.R., Domitrovich, C.E. and Welsh, J.A. (2004). 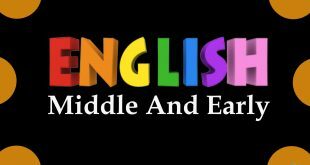 Shared book reading and children’s language comprehension skills: the moderating role of parental discipline practices. Early Childhood Research Quarterly, 19, 319-336. Ghazi, D. S., Ali, D. R., Shahzad, D. S., Khan, D. M., & Hukamdad, D. (2010). Parental Involvement in Children Academic Motivation. Asian Social Science , 6. Harris, L., Kagay, M., & Ross, J. (1987). The metropolitan life survey of the American teacher: Strengthening links between home and school. New York: Louis Harris and Associates. Harris, J., & Reifel, S. (2002). Children should be seen and heard on the web. Learning & Leading with Technology, 29(7), 50-53. Havens, J. (2003). Student web pages: A performance they’ll love! Phi Delta Kappan, 84(9), 710-711. Henderson, A., & Berla, N. (1994). A new generation of evidence: The family is critical to student achievement. Washington, DC. _ational Committee for Citizens in Education, Center for Law and Education. Hill, N.E., Castellino, D.R., Lansford, S.E., Nowlin, P., Dodge, K.A., Bates, J.E. and Pettit, G.S. (2004) Parent Academic Involvement As related to School Behavior, Achievement and Aspirations. Demographic Abstract, Internet, 32, 6. Izzo, C. V., Weissberg, R. P., Kasprow, W. J., and Fendrich, M. (1999). A longitudinal assessment of teacher perceptions of parent involvement in children’s education and school performance. Am. J. Community Psychol. 27(6): 817–839. Kasprowicz, T. (2002). Managing the classroom with technology. Tech Directions, 61 (10), 26-28. Keith, T. Z., Keith, P. B., Troutman, G. C., BicWey, P. C., Trivette, P. S., & Singh, K. (1993). Does parental involvement affect eighth-grade student achievement? Structural analysis of national data. School Psychology Review. 22, 474496. Kellaghan, T., Sloane, K., Alvarez, B., & Bloom, B. S. (1993). Home processes and learning. In The home environment and school learning: Promoting parental involvement in the education of children (pp. 50-61). San Francisco: Jossey-Bass. Lewis, A.C. (2002). Building connections with parents. Phi Delta Kappan, 84(4), 259-60. Khare, S. and Garewel, A. (1996) Relationship Among Speed of Information Processing Ability, Creativity and Academic Achievement.Psycholingua, 27, 1, 53-56. Marjoribanks, K. (2005). Family environments and children’s outcomes. Educational Psychology, 25, 647-657. Milbrey McLaughlin, & Shields, P. (1987). Involving low income parents in the schools: A role for policy? Phi Delta Kappan, 69(2), 156-160. Newswire, Ivanhoe (2010) Parent involvement is equal to Better Students. Child development 5,6, 2010. On Target: Family Involvement. (2000). Parent involvement and student academic achievement at middle school. _MSA Research Summary #18, © 2005. Petrick, W. L. Leung and Kim, S. F. Kwan (1998) Parenting Style, Motivation Orientations and Self- Perceived Academic Competence: A Meditational Model. Merrill- Palmer Quarterly, 44. Reynolds, A.J. (1996). 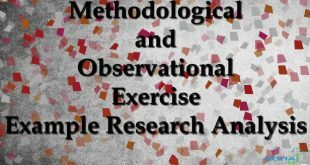 Cognitive and family support mediators of pre-school effectiveness: A confirmatory analysis. Child Development, 67, 1119-1140. Rich, D., Van Dien J., & B. Mallox (1979). Families as educators of their own children. Retrieved 2013 from http://www.ericdigests.org/pre-925/parent.htm. Rowe, K. (1991).The influence of reading activity at home on students’ attitudes towards reading, classroom attentiveness and reading achievement: An application of structural equation modeling. British Journal of Educational Psychology, 61, 19-35. Roychoudhary, P. And Basu, J. (1998) Parent-child Relationship, School Achievement and Adjustment of Adolescent Boys.Journal of Community Guidance and Research, 15, 2, 215-226. Sacker, A., Schoon, L., and Bartley, M. (2002) Social Inequality in Educational Achievement and Psychological Adjustments Throughout Childhood: Magnitude and Mechanisms. Social Science and Medicine, 55, 863- 880. Shah, B.And Sharma, A. (1984) A Study of the Effect of Family Climate on Students Academic Achievement.Journal of the Institute of Educational Research, 8, 3, 11-15. Singh, K., Bickley, P. G., Trivette. P., Keith, T. Z., Keith, P. B., &Anderson, E. (1995). The effects of four components of parental involvement on eighth-grade student achievement: Structural analysis of NELS:88 data. School Psychology Review, 24, 299-317. Smit, F., Driessen G., Sluiter, R. & Brus, M. (2007). Ouders, scholen en diversiteit. Ouderbetrokkenheid en participatie op scholen met veel en weinig achterstandsleerlingen. [Parents, schools and diversity. Parental involvement in schools with many and few underprivileged pupils.] Nijmegen: ITS, Radboud Universiteit Nijmegen. Stevenson, D. L., & Baker, D. P. (1987). The family-school relation and the child’s school performance. Special issue: Schools and development. Child Development, 58, 1348-1 357. Sui-Chu, E. H., & Willms, J. D. (1996). Effects of parental involvement on eighth-grade achievement Sociology in Educatwn, 69. 126- 14 1. U.S. Department of Education, National Center for Education Statistics. (1997). “Fathers’ Involvement in Their Children’s Schools.” NCES 98-091, by Christine Winquist Nord, DeeAnn Brimhall, and Jerry West. Washington, DC. Williams, B., Williams, J. and Ullman, A. (2002) Parental Involvement in Education. Retrieved From Internet, Research report RR332. Department of Education and Skills. Zisow, M. (2002). Do I have to do my homework? Learning & Leading with Technology, 28(5), 6-9. I need a soft copy of this research. kindly contact me at +923038140383 or let me contact you.